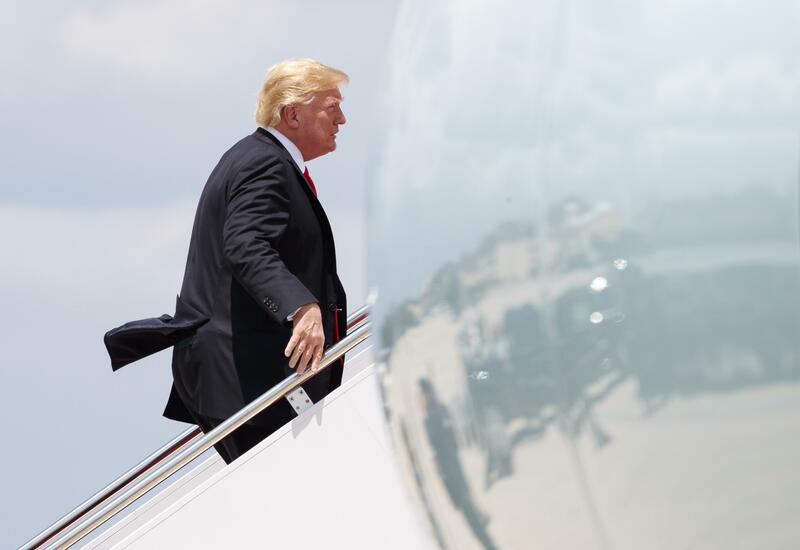 Thu., July 5, 2018, 9:51 p.m.
WASHINGTON – The United States hiked tariffs on Chinese imports Friday and Beijing said it would be forced to make a “counterattack” in a dispute between the world’s two biggest economies that President Donald Trump says he is prepared to escalate. Washington increased tariffs at 12:01 a.m. on $34 billion worth of Chinese imports, a first step in what could become an accelerating series of tariffs. China’s Commerce Ministry said it would be “forced to make a necessary counterattack.” It gave no immediate details of possible retaliation but Beijing earlier released a target list of American goods for duty increases including soybeans, electric cars and whiskey. Trump discussed the trade war Thursday with journalists who flew with him to Montana for a campaign rally. The president said U.S. tariffs on an additional $16 billion in Chinese goods are set to take effect in two weeks. After that, the hostilities could intensify: Trump said the U.S. is ready to target an additional $200 billion in Chinese imports – and then $300 billion more – if Beijing does not yield to U.S. demands and continues to retaliate. That would bring the total of targeted Chinese goods to potentially $550 billion – more than the $506 billion in goods that China actually shipped to the United States last year. The Trump administration contends that China has deployed predatory tactics in a push to overtake U.S. technological dominance. These tactics include cyber-theft and requiring American companies to hand over technology in exchange for access to China’s market. Published: July 5, 2018, 9:51 p.m.